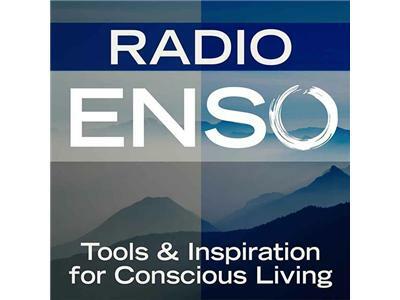 Join me Monday, October 21st at 6 p.m. Pacific/9 Eastern on Radio Enso. My guest will be Michael Bungay Stanier, Senior Partner of Box of Crayons, author of Do More Great Work, and a champion to help stop the busywork. Michael joins us to discuss Your Great Work MBA, a virtual conference that he’ll he hosting in November at en*theos with experts from around the world teaching you the 25 most essential skills needed to do more Great Work. About: On the way to founding Box of Crayons ten years ago, Michael lived in Australia, England, the US and now Canada. As an innovation expert he helped invent new products and services, and as a change management consultant he supported companies as they evolved. He’s written a number of books, the best known of which are Do More Great Work and the philanthropic project End Malaria, created a series of short internet videos, such as The Eight Irresistible Principles of Fun and designed training programs that are being used around the world. Michael is on the editorial advisory board of the Peer Bulletin, the leading journal on mentoring. He’s also Thinker in Residence at Knowledge Blocks, a resource for readers of business books. An internationally acclaimed professional keynote speaker, Michael Bungay Stanier is a popular keynote speaker at business and coaching conferences around the world. He was the first Canadian Coach of the Year and a Rhodes Scholar. For more information, visit: http://www.boxofcrayons.biz/.